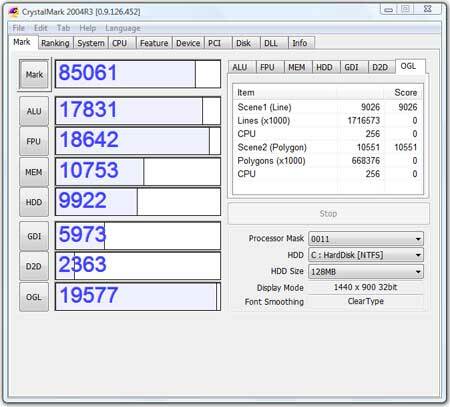 CrystalMark is an all-in-one Free System Benchmark Tool. It is a total system benchmarking software application that can be used to test your CPU, HDD Memory and GDI, Direct Draw, OpenGL Video Card. Detailed benchmark reports can be saved as a text or HTML file. CrystalMark also doubles as a system hardware information tool and can be stored and run entirely from a portable device.